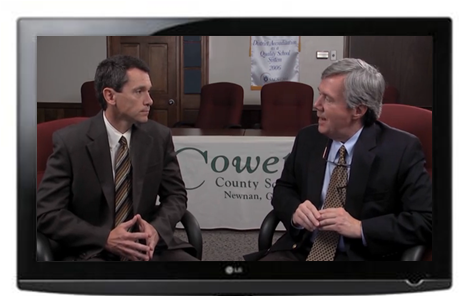 Local programming on Channels 7 & 10 include The Link, church services, high school sports, Coweta County schools, & more! As the only local Cable TV, High Speed Internet and Home Phone service provider in the area, we pride ourselves in offering exclusive programming that you’ll only get from NuLink. Adopt A Pet - Newnan Coweta Humane Society volunteers feature urgent adoptable animals from the Coweta County Animal Control. Home at Last - Weekly cooking show hosted by Patty G.
The Canongate Drive - Golf tips, tricks, techniques, and anything else you need to know about golf. Sponsored by Canongate Golf Clubs. The Link - Local upcoming events and coverage in your area. Hosted by NuLink's own, Laura Horton. Talking with Tony - Tony Jones talks regional, collegiate, and local sports with area personalities.